There are various reasons to wear a nose ring. 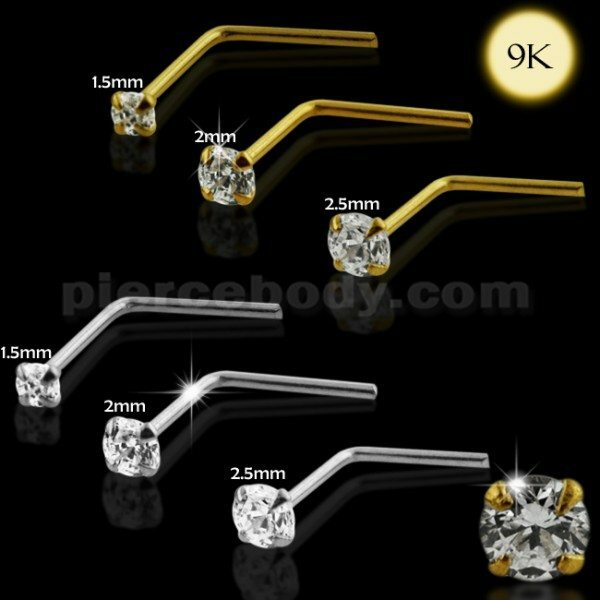 Both and men and women love wearing this particular accessory as it is easy to have one’s nose pierced and it also makes a fabulous fashion statement. There are 3 types of nose piercings. One is done on the nostril, the other on the septum between two nostrils and the last one on the bridge linking the forehead. 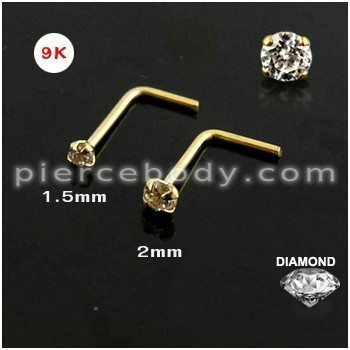 The 9K Solid Yellow Gold Crystal Flower Nose Screw is meant for nostril piercing. It is a beautiful piece aesthetically done. The crystal stones add to the beauty of the entire piece which in turn adds to your beauty. Individuality is another reason for which people wear nose rings. Though the nostril piercing is more common, septum is also gaining in popularity rapidly. Septum is a more unisex piercing. In India it is mandatory for brides to wear nose rings which are ornately designed as a mark of their marital status. Any kind of piercing or body modification is done with personal style motives. It is a way to express individual sense of style and fashion. Customizing a nose ring in one’s way is taking that style forward. Sometimes nose piercing is done as a rite of passage. It is done to mark a transition in one’s life. It is the most visible of all piercings and is out there for the world to see. Some people have romantic reasons to have their nose pierced. They have their nose pierced to mark a romantic commitment. Instead of having ring on the finger, they prefer to have it on their nose to mark the special event. This is preferred by body modification enthusiasts. It is of course a brilliant way to show off a gemstone and a unique way to celebrate the bond between couples. Nose piercing is one of those piercings that can be easily concealed. So, if you are in a profession which requires you to hide your piercing or you are in a particular situation which does not allow you to display it, nose piercing can be easily hidden from the public eyes. Septum piercings particularly can be flipped upside-down so that it rests inside the nose. You can also wear a small staple-like device called a retainer to conceal it. Hence, a nose piercing will not put you in trouble and you can hide it display it as and when you want.